Africa (no Maghreb), Russian countries (CIS). 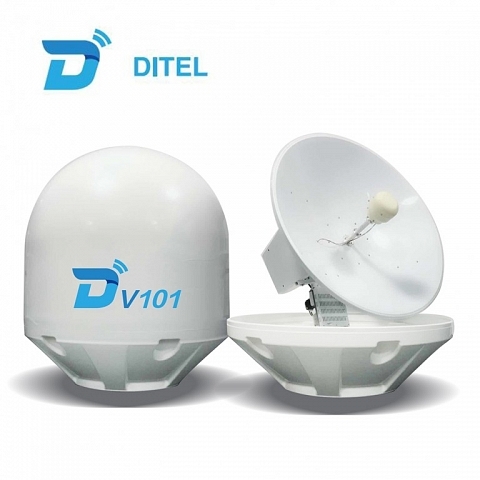 Ditel V101 is a 100cm Ku-band maritime VSAT antenna system ideal for global commercial vessels. With its 3-axis stabilized platform and 5 patent technology, the V101 offers superior high tracking performance,supporting video monitor,broadband access, web television, remote video conference and VoIP phones services. 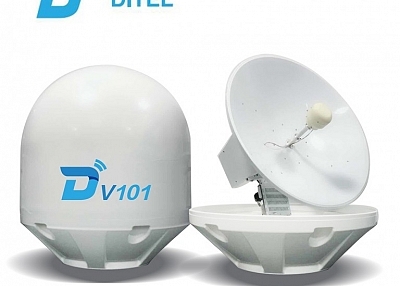 By selecting different satellite, V101 can offer service to deep ocean vessels which have high request on broad band.